In its fifth year, the Syria crisis has forced over four million people to flee the country, mostly to neighbouring Jordan, Lebanon, Iraq and Turkey. Of the 635,324 Syrian refugees registered with UNHCR in Jordan approximately 83% live in host communities, rather than formal camps. This has placed considerable strain on already over-stretched infrastructure and service delivery capacity of the national and local governments. Municipal services, including solid waste management (SWM) and public roads, have been particularly strained in the governorates hosting the largest number of Syrian refugees, namely Amman (28%), Irbid (22.7%) and Mafraq (21.2%). 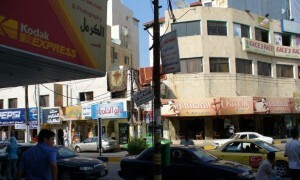 In response to these challenges, the Jordan Emergency Services and Social Resilience Project (JESSRP), led by the World Bank and funded by the UK, Canada, Switzerland, Sweden and Denmark, was developed to strengthen social cohesion and resilience through investments in municipal services, including SWM, public roads, public lighting, sanitation and public leisure spaces. REACH, in collaboration with JESSRP partners, is implementing a monitoring and evaluation framework consisting of a baseline assessment, several rounds of monitoring and an end-line. The final evaluation will compare changes between the baseline study conducted in August-September 2014 and the end-line scheduled for early 2017 to understand the project’s contribution to improving social cohesion and resilience. The first monitoring round identified and tracked on-going progress, challenges and immediate outcomes of the JESSRP to inform project design and implementation. The recently released first monitoring report outlines the findings of data collection conducted in August 2015 in the nine initial JESSRP intervention municipalities. The assessment consisted of 1,164 household surveys, 35 community key informant (KI) interviews, nine municipality KI interviews, as well as four key project stakeholder interviews. REACH found that interventions were addressing self-reported priority community needs and that most public works funded through 2014 grants have been completed and equipment was received by most municipalities. However, pre-existing limited municipal capacity was resulting in inefficiencies in service delivery and project implementation. A key recommendations of this report was to ensure interventions are designed to be sustainable within municipal budgetary constraints. Additionally, interventions supporting municipal service delivery should be combined with efforts to strengthen municipal planning and financial capacity. Overall, REACH’s JESSRP monitoring assessment provides insight into the internal processes of municipalities, their implementation capacity, the quality of municipal services and relationships between municipalities and their citizens. The findings from this and future monitoring rounds will provide good practices and lessons learned to inform on-going improvements and revisions to the JESSRP. Ultimately, insights gained through the JESSRP can inform similar initiatives in addressing issues of displacement working through local authorities and supporting community resilience to natural or man-made, internal or external shocks.